In 1968, a new genre of films made a sudden impact that continues to endure today. Pioneering director Melvin Van Peebles captured the attention of the movie world when his debut feature The Story of a Three Day Pass was awarded the top prize at the San Francisco Film Festival. At that time, a black man walking up to the podium to accept an award for a film that he had created was unexpected and controversial, to say the least. Van Peebles followed up his first film with a comedy known as Watermelon Man, but it was his third film that is truly remembered as groundbreaking. Sweet Sweetback's Baadasssss Song was turned down by every single major studio. Even Columbia, where Van Peebles had a three-picture deal, found the project's subject matter to be too precarious to tackle. 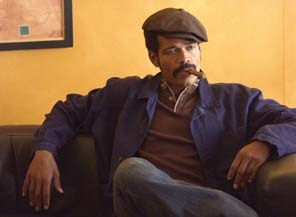 So, Van Peebles risked everything he had, self-financing his Big Idea so that he could bring the first ever Black Ghetto Hero to a world that may or may not have been prepared for the fallout. And though that film opened to a virtually empty theater with only a few curious patrons in attendance, it has since come to be known as one of the biggest influences in cinema.